List of Objects in Spanish | Learn Spanish Language! Many objects are used daily by us. 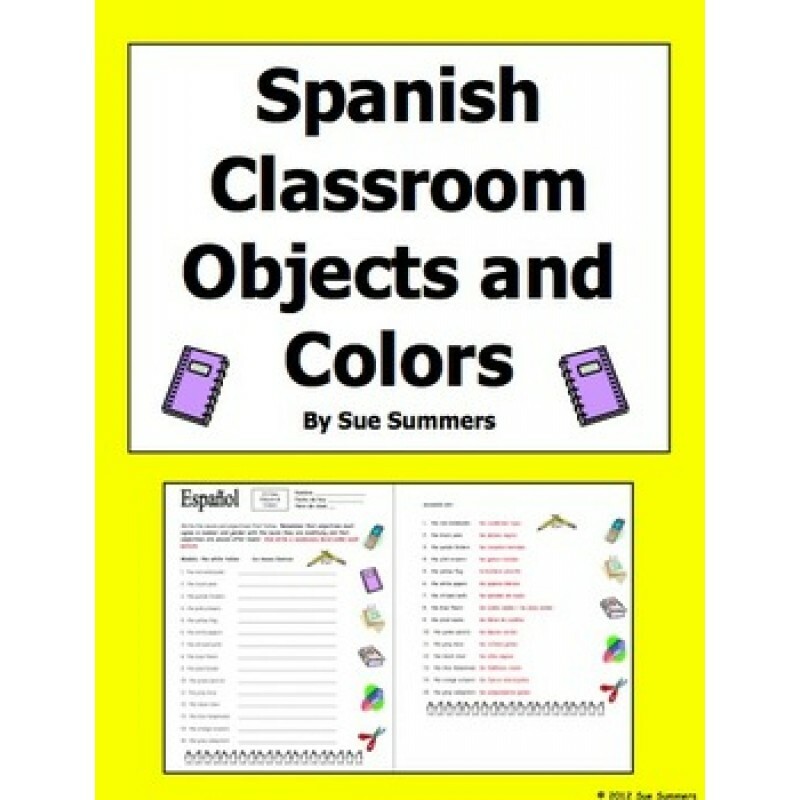 We know all objects name in English but you are learning Spanish language so you have to know all names in Spanish. Objects which we use daily as- Bedroom objects, drawing room objects, classroom object, office objects, school objects etc. It is very important to know all objects name in Spanish because we use it daily so we have to know all objects name in Spanish. We have provide many essential vocabulary in previous post for people who want to learn Spanish as- Places names in Spanish, Utensils name in Spanish, Sports name in Spanish, How to tell time in Spanish, List of tools name in Spanish, Zoo animals in Spanish etc. So we are here with objects name in Spanish. We have given lots of vocabulary related to objects which we use daily. So learn it and try to speak it with pronunciation. 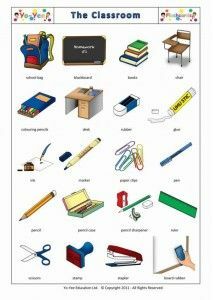 So these are objects list in Spanish learn by heart it and you can also write it in Your Spanish vocabulary dairy. If you want to learn it easily then you have to practice more in vocabulary. It is very important to learn vocabulary first for learning any language. try to name all object which you use daily by its Spanish name. By using this method, you can easily learn all vocabulary all Objects name in Spanish. This entry was posted in Basic Spanish for Beginners, Vocabulary of Spanish language and tagged Alarm clock in Spanish, Bedroom in Spanish, Blackboard eraser in Spanish, Blanket in Spanish, Book in Spanish, budgets in Spanish, Calculator in Spanish, Ceiling in Spanish, Chair in Spanish, Chalk board in Spanish, Class in Spanish, Clock in Spanish, Closets in Spanish, Compact disk in Spanish, Computer in Spanish, Curtain in Spanish, Department in Spanish, Desk in Spanish, Dictionary in Spanish, Document in Spanish, Door in Spanish, Dresser in Spanish, Female student in Spenish, Film projector in Spanish, Flag in Spanish, Floor in Spanish, Flowers in Spanish, Folder in Spanish, Garbage can in Spanish, Hanger in Spanish, How to say biology in Spanish, How to say calculus in Spanish, How to say Chemistry in Spanish, How to say computer in Spanish, How to say Dance in Spanish, How to say Economics in Spanish, how to say foreign language in Spanish, How to say Geography in Spanish, How to say Geometry in Spanish, How to say history in Spanish, How to Say Math in Spanish, How to Say music in Spanish, How to say test in Spanish, How to say University in Spanish, Invoice in Spanish, Lamp in Spanish, List of Bedroom objects in Spanish, List of classroom objects in Spanish, List of living room objects in Spanish, List of office objects in Spanish, Male student in Spanish, Map in Spanish, Meeting in Spanish, Meeting room in Spanish, Mirror in Spanish, Notebook in Spanish, Office in Spanish, Painting in Spanish, Paper in Spanish, Pen in Spanish, Pencil eraser in Spanish, Pencil in Spanish, Pencil sharpener in Spanish, Photo in Spanish, Photocopier in Spanish, Photograph in Spanish, Pillow in Spanish, Report in Spanish, Rug in Spanish, Ruler in Spanish, Scissor in Spanish, Scotch tape in Spanish, Section In Spanish, Sheets in Spanish, Shelf in Spanish, Sofa in Spanish, Stapler in Spanish, Stereo in Spanish, Stool in Spanish, Table in Spanish, Telephone in Spanish, Television in Spanish, Toilet in Spanish, Vacuum cleaner in Spanish, VCR in Spanish, Video recorder in Spanish, Wall in Spanish, Window in Spanish on January 4, 2017 by satyenhacks.